Part 2 of our Shmaltz Contest has come to a close and the folks at Shmaltz have selected their winning entry! Congrats to @danap2170 on the winning entry! Now she gets to pick whether she receives 2 free tickets to Shmaltz's 1st Anniversary Party or 1 ticket to the party and 1 bus ticket from Brooklyn! If you'd like to attend the festivities, you'll need to buy some tickets which you can do right here! Congrats to our winner and thanks to everyone who participated! I bet you all thought the sun had set on the Shmaltz Beertography Contest, didn't you? Well if you caught our teases last week you may have had an inkling that we're not quite done just yet. Shmaltz and Beertography are proud to present the Shmaltz Beertography Contest Part 2! The Sequel! The Return! Reanimated! Strike Back! Additional Sequel Reference! This time out, it's going to be a winner-take-all event. That's right, there's only going to be ONE winner so you have to pull out all the stops to get Shmaltz to pick your photo! Join the Beer Gangs of New York on May 17 at the Shmaltz Brewing Company in Clifton Park, NY for our 1st Anniversary Bash! Last year we cranked up our new 50-Barrel Brewery and now we are ready to celebrate what we’ve accomplished in twelve short months! Friends, neighbors and craft beer connoisseurs will be treated to a rare offering of barrel aged casks of Death of a Contract Brewer. Revel in the ultimate beer experience with a delicious selection of core and barrel-aged Shmaltz libations and special offerings from gangs of our favorite brewers from around New York State. Rock out to the smokin’ hot talent of Brookyln's own WORKOUT. Feast on the savory selections from a round up of local food trucks! If you're in NYC, we've got you covered. We have a charter bus leaving from 514 Metropolitan Ave, Brooklyn at 9 am on Saturday, May 17. The bus will depart from the brewery at 5:30 p.m. Cost is only $50 including the cost of general admission to the party. Our anniversary + you = the party of the year! So let's see: amazingly rare Shmaltz beer, other great beer from around NY state, awesome music and a bunch of food trucks? Sounds like perfection to us. Oh and plus you can catch a ride on the bus from Brooklyn! What more could you want? So what will the winner of the Shmaltz Beertography Contest receive? Well, if you are selected by the folks at Shmaltz to be the winner, you will get the choice of either 2 FREE tickets to the Anniversary Party on May 17th OR 1 FREE ticket AND a FREE ride on the Charter Bus that will be heading up to the brewery from Brooklyn. Not from around the East Coast? That's okay, we've got you covered as well! In the case that you win the contest and are unable to make the party, Shmaltz will send you an awesome swag pack. So how do you enter? All you have to do is post your photo entry to Twitter or Instagram with the hashtag #ShmaltzBeertography (make sure you spell it right!). If you're not into Twitter or Instagram, you can also post your photo to the Shmaltz Facebook Page and make sure you include #ShmaltzBeertography when you do! We will be accepting entries between now and 11:59pm next Friday April 18th. The theme for this contest is Beer Gangs of New York so use your imagination to take some Shmaltz Beertography with a gang-related theme. Be creative! The folks at Shmaltz will be looking for the most creative entries! Of course, if you want to guarantee your way into the Shmaltz Anniversary Party on 5/17, you can buy tickets to the Anniversary Party right here! Shmaltz Beertography Contest Winners & Voting! Congratulations to @JonAlfield on winning the Brewer's Choice Award with his photo above! His entry was hand selected by Jeremy Cowan and the rest of the fine folks at Shmaltz so he receives a private brewery tour and sampling as well as a Death of a Contract Brewer T-Shirt! Congrats Jon! Next up, the Best in Beertography Award goes to..
Congrats to @hollister_dan! We received some really great photography but I just love the dedication taken in this shot. If you look closely, you'll see that every single one of those bottles is a HE'BREW beer. Nicely done and congrats Dan! You've got a #Beertography Shirt coming your way. Now go get out the vote! Shmaltz Beertography Contest - 8 Days Left! We'll have 3 winners: People's Choice (as voted by fans of Shmaltz and Beertography on Facebook), Brewer's Choice (selected by a panel of judges at Shmaltz) and Best in Beertography, selected by yours truly. How does a private brewery tour and sampling sound?!? That's right, the Brewer's Choice Winner and a guest will receive a private brewery tour at Shmaltz Brewing Company in Clifton Park, NY! We will be accepting entries until February 28, 2013 at 11:59pm Eastern. NY Craft Beer Week Kicks Off Friday with FREAKTOBERFEST! 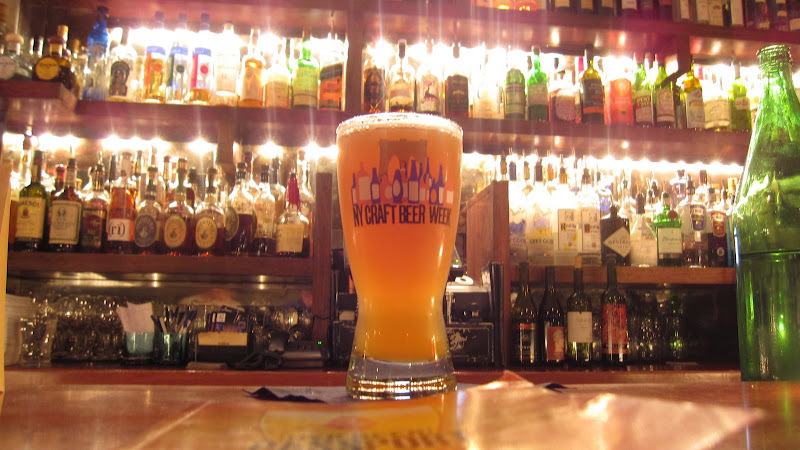 Step Right Up and join us at the official kick-off party for New York Craft Beer Week. Come and drink some of the finest American craft beers in the country with representatives from over 20 different breweries. 2 floors of music, New York's finest burlesque, freaks, oddities and human curiosities! Admission is $50 which includes a tasting glass and unlimited tastings for the duration of the festival. Limited capacity of 400. Check out some photos from Freaktoberfest 2010. Shmaltz Brewing Company, Smuttynose, Captain Lawrence, Ithaca, Ommegang, Lagunitas, Victory, The Bruery, Allagash, Greenport Harbor, Oskar Blues, Left Hand, Ballast Point, Two Brothers, Pretty Things, Sixpoint, Cape Anne, Sierra Nevada, Goose Island, Stone, Founders, Cigar City, Bear Republic, Speakeasy, Harpoon, Sly Fox, Southampton, Kelso, Empire, Brooklyn Brewery, Dogfish Head, Avery, Wandering Star, Barrier. Pick up your NY Craft Beer Week Passport and get your tickets to Freaktoberfest via TicketWeb today. See you there!